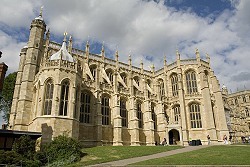 The Switch provides live stand-up and video distribution for Royal Wedding in Windsor. London, May 2018: Saturday, May 19, marked a historic occasion as Britain’s Prince Harry and American Meghan Markle wed in a ceremony at St. George’s Chapel on the grounds of Windsor Castle. By transmitting more than 200 hours of content over the course of the weekend, The Switch® played an integral part in aiding global news and entertainment coverage of this historic event.